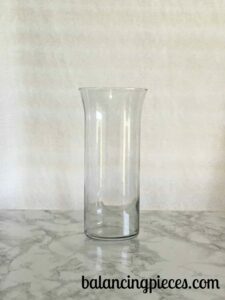 Plain glass vases are such a great deal at dollar stores and thrift shops. 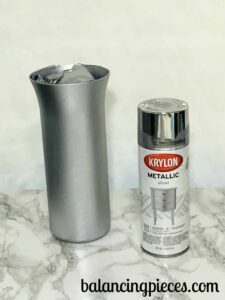 They can be pretty on their own with gorgeous flowers, however a few minutes with a can of Krylon Metallic Spray (silver) and you’ve got a gorgeous piece. 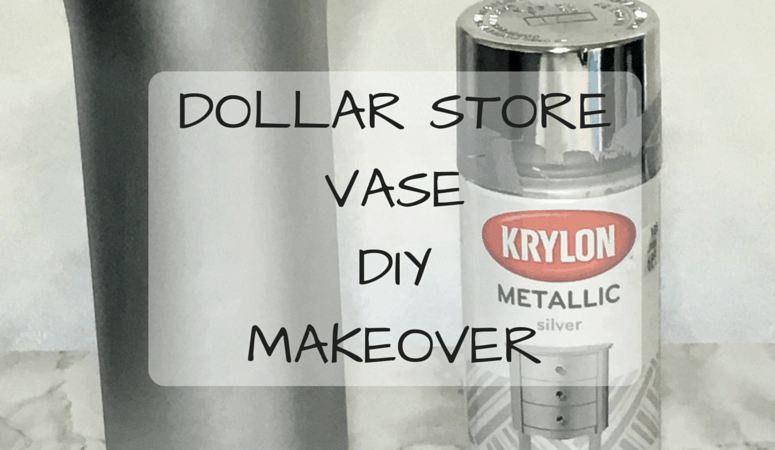 I purchased this vase from the dollar store for yes, a whopping $1. Brought it home and gave it a good cleaning and wipe down. Be careful using a paper towel that may leave little fuzzes. 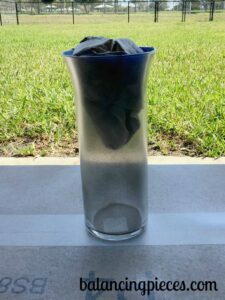 Use a cloth for the final wipe down to ensure the glass is clean. Next, I used painters tape around the inside rim and packed in some newspaper. Cut strips and do vertical stripes all the way around the edge. Due to my Amazon obsession, I had an empty box lying around that I could place the vase on top of to begin spraying. Try to be a few feet away from walls and other furniture. I allowed each coat to dry at least 3-5 minutes before applying the next coat. It does take time and you need to have patience. Do thin coats and allow to dry. It only takes 3-5 mins for each coat to dry if it is done outside. My final result took about 6 coats. I was able to easily pull out the newspaper and peel off the tape. My husband actually came with me to a local Michael’s store and pick out some flowers for the vase. He is quite proud of his picks. He makes sure that any time someone compliments the arrangement that he takes credit. 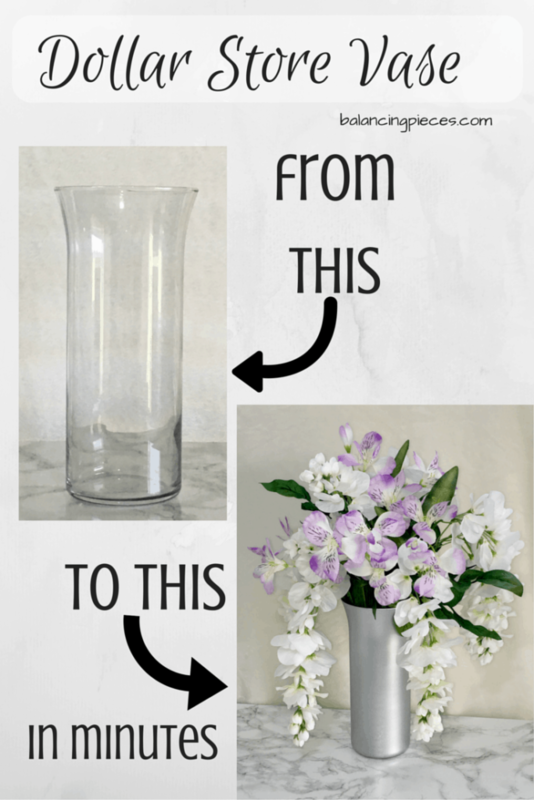 Back to the topic…pop in some flowers and you’re done! 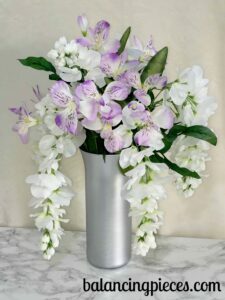 I used a small piece of green circular foam inside the vase for the flowers to stick to, however with the stems long enough they could’ve been placed in on their own and been fine.